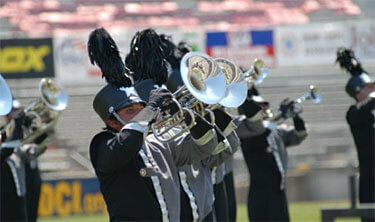 Heading into the 2007 season, Revolution will play on new B flat and F keyed horns. Their acquisition of new horns was made possible through the Drum Corps Tigers of Texas, a nonprofit organization dedicated to serving individuals who participate in the drum corps activity. Revolution at the 2006 DCI World Championships in Madison, Wis.